I put away my phone as soon as I arrived, so I could settle into my surroundings and quiet my mind ready for the interview. 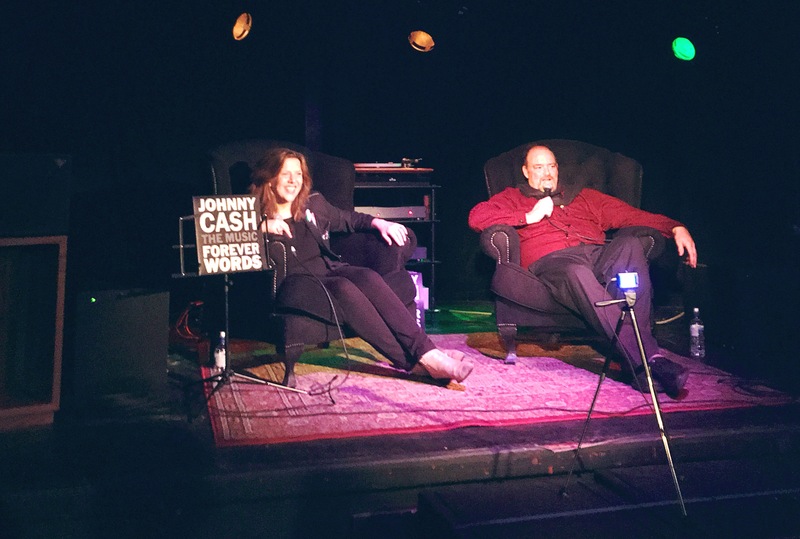 John Carter Cash told us how he sifted through his father’s notes, poems, song lyrics and personal recordings after he died. I am so glad that Johnny Cash recorded his thoughts and ideas in writing. John told us there were many study notes too as his father read widely and had an extensive personal library. That’s something I aspire to. John selected artists he knew his father would have wanted to record his songs, including Alison Krauss, Roseanne Cash, Elvis Costello, Willie Nelson and The Jayhawks. John sat next to me as part of the audience while we listened to the double album ‘Forever Words’ — a soon-to-be-released album of music of songs written by Johnny and co-produced by John, but previously unrecorded. Each side of the album has its own character and atmosphere. Each song is placed in a sequence that creates harmony, and together they form a whole. The collection was a journey into music and lyrical poetry. I’m still feeling quite emotional when I think of it. I’ve been thinking about how I spend my free evenings at home. I’m trying to switch my phone off completely most evenings and to take time offline. I’d still like to listen to music, but at the moment I have to stream it. A record-player would change that. Forever Words will be released in April. As I’m planning to buy a record-player soon, I’ve decided this is the first album I’m going to buy. I’m so glad I know Colleen and that I was able to make it along to this very special evening. It’s going to stay with me for a very long time.